This would be PVR's second attempt to acquire DT Cinemas after 2009, when it entered into definitive agreement with the DLF Group. That deal called off due some legal issues. "DLF Group and PVR Cinemas have agreed to broad terms of the transactions. 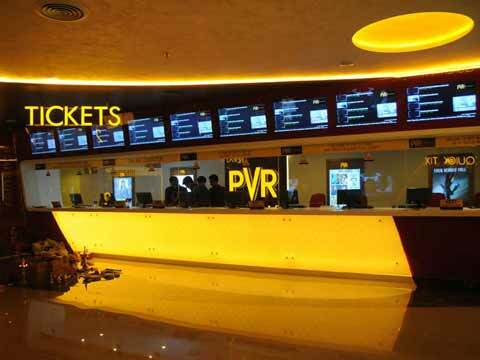 The acquirer and seller are likely to approach the competition commission of India (CCI) for inprinciple approval as PVR Cinemas is the market leader," a person familiar with the development told ET. India currently has 1,700 multiplex screens with PVR leading the market with 454 screens while the second-ranked Inox owns 361 screens. DT Cinemas currently operates 29 screens in National Capital Region of Delhi and Chandigarh. It will ramp up its operations to 39 screens by 2016. It is one of the significant players in the Delhi and NCR with 18 screens in Delhi, eight in Gurgaon and another three in Chandigarh. A DLF spokesperson declined to comment. "We do not wish to comment on market speculations", said the spokesperson. PVR did not reply to the queries sent by ET. Under the agreement, DLF will lease the real estate to PVR on long term contract of 10-15 years. "Typically, the lease rental will be 15-20% of the gross revenues from these premises including the exhibition and food business," said the official quoted above. Burdened with debt of aboutRs 20,500 crore, DLF is continuously exiting from the non core businesses. The company is also looking at divestment of some of some projects or to bring in strategic investors. "The company is looking at bringing down the debt of development business through tactical divestments or JV's with strategic or financial investors of certain projects. Current value of deals in pipeline, at various stages of negotiations exceeds Rs 3,000 crore," said the person. Movie exhibition space is in the midst of consolidation phase. Last year, the sector witnessed five transactions, clearly indicating the players' intent to capture bigger market share of box office receipts of in India'sRs 9,200 crore movie industry. The move is also aimed to increase their bargaining power with film producers and distributors. In December, after months of negotiations, Carnival backed by a Mumbai based agro-trading company acquired Anil Ambani's Big Cinemas for an enterprise valuation of a little over Rs 710 crore inclusive of its debt, a move that will further enhance consolidation.